Today, individuals trap for varied reasons -- as part of their cultural heritage, to harvest food and fur, and to help manage wildlife resources. Regardless of an individual’s motivation, New Hampshire trappers are providing a valuable wildlife management and social service to New Hampshire, at no cost to society. What happened when Massachusetts restricted trapping? Our neighbors to the south have provided a textbook example of the importance of managing beaver populations and the value of regulated trapping as a management tool. In1996, the state of Massachusetts restricted the use of traps by a voter referendum called “Question 1.” Massachusetts’ beaver population subsequently increased – nearly tripled -- from a 1996 population of 24,000 to 70,000 animals five years later. The significant rise in beaver numbers caused many issues, including flooding of residential areas, structures and roadway infrastructure. Consequently, the Massachusetts Legislature modified Question 1 to allow the use of restricted traps and trapping outside the regulated trapping season to control beaver populations. Trapping is a highly regulated activity. Persons wishing to trap must attend mandatory Trapper Education classes, purchase a license, file written landowner permission with New Hampshire Fish and Game, adhere to science-based regulations and harvest limits, check traps daily, and report their catch along with effort. Traps with over a 6.5-inch jaw spread must be set in water or greater than five feet from the ground surface. An active cadre of highly trained Conservation Officers and other agency personnel monitor trappers to ensure that laws are followed. Foothold traps come with rubber jaws, offset, or laminated jaws; each designed to hold an animal by the foot. These features are designed to minimize injury to trapped animals and when used properly, typically allow for the release of captured animals unharmed. Body-gripping traps are designed to target specific-sized species. Modern traps are tested using International Organization for Standardization designs under the cooperation of the Association of Fish & Wildlife Agencies and the Fur Institute of Canada. Animal welfare, efficiency, selectivity, practicality, and safety are the measured parameters of traps used today. Surprising to many is the fact that wildlife managers use the same foothold traps to capture wildlife for collaring projects and relocation efforts. Animal welfare is an important consideration to wildlife agencies. Since 1998, 37 states, including New Hampshire, have actively participated in a national effort to develop trapping best management recommendations based on an evaluation of traps in terms of animal welfare, selectivity, efficiency, practicality, and user safety. Will trapping lead to extinction? Trapped species do not become threatened or extinct. Species pursued by trapping interests are abundant on the New Hampshire’s landscape. They include grey fox, red fox, raccoon, fisher, beaver, otter, eastern coyote, muskrat, mink and weasel. Because trapping is highly regulated, it does not cause species to become threatened nor extinct. Trappers understand the importance of these species in New Hampshire ecosystems. What products come from trapping? Trapping provides sustainable commodities. Trapping provides useful nature-derived commodities from our landscape. Products ranging from fur to scents, food flavorings, and food itself are derived from animals taken during the open trapping season. Seasons are in place when fur is prime and most valuable and the animal’s young are independent. How is trapping a wildlife management tool? Trapping is a critical wildlife management tool. Wildlife populations fluctuate within the year, based on weather and food availability. Winter is the most pressing time of year. Trapping seasons occur during fall/winter months and remove individuals when they at their highest annual peak, thus lowering impact of that species on food resources within the locale. Trapping not only alters competition within a species, it is also used as a wildlife management tool that can alter impacts between competing species and wildlife impacts to humans. For example, American marten, a species that is increasing in New Hampshire, is thought to benefit by fisher management, since fisher can compete with and consume marten. Monitoring furbearer populations is very important and readily accomplished by using mandatory trapper reports. The data supplied by trappers allows wildlife managers to calculate the number of animals captured per unit of effort (effort is considered 100 trap nights). As a furbearer species increases in abundance,, the capture per 100 trap nights increases. As a population decreases, the capture per 100 trap nights decreases. Managers use this index to adjust species seasons or limits to achieve desired effects. What is an example of a trapping benefit? Regulated trapping provides ecological and societal benefits – at no cost. Beaver, also known “nature’s engineers,” are abundant in New Hampshire and a unique species given their importance to ecosystems and ability to outwork humans. During the winter of 2014-2015, licensed trappers provided 36,996 nights of trapping effort and removed 2,044 beavers, at no charge to society. Wildlife Control Operators (WCOs) provided 23,169 nights of trapping effort and removed 1,177 beavers, at a charge to requesting property owners. 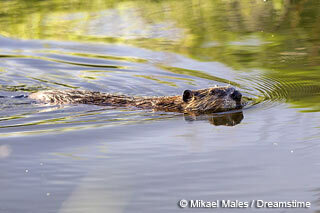 In the absence of these efforts, beaver populations would increase significantly. 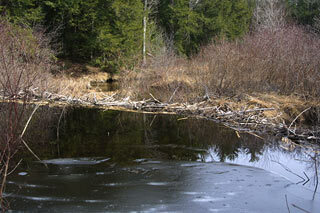 Because preferred beaver habitat is largely saturated, dispersing animals often to take up residence in problematic locations. Beaver activities can result in the flooding of private and public property and roads, septic fields, wells and agricultural lands and they can block dams, culverts and drainage pipes. Trapping provides important benefits for people, habitat and wildlife. Trapping represents a critical tool for resolving human-furbearer conflicts, such as flooding by beavers and livestock predation by coyotes and foxes. Trapping is also a valuable management tool for wildlife biologists; foothold traps are routinely used to capture animals, unharmed, for research and wildlife restoration. In addition, trapping provides important economic benefits to many of our citizens in the form of pelt values. In the absence of regulated trapping, furbearer populations will increase and human-furbearer conflicts will escalate. NH Fish and Game refers an estimated 1,500 furbearer complaints per year to licensed trappers and USDA Wildlife Services fields approximately 700 additional furbearer complaints. A bill was passed in Massachusetts in 1996, resulting in significant increases in beaver abundance and distribution, as well as beaver damage and complaints. After the bill was enacted, the beaver population in Massachusetts nearly tripled, increasing from 24,000 in 1996 to 70,000 just five years later!